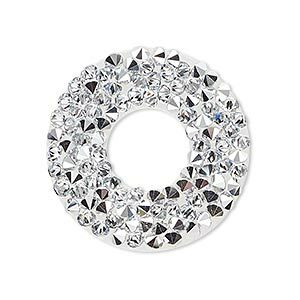 Iron-on transfer, Swarovski® hotfix crystal rocks, crystal CAL, 30mm open round (72032). Sold individually. Item Number: H20-A2209CY Have a question about this item? 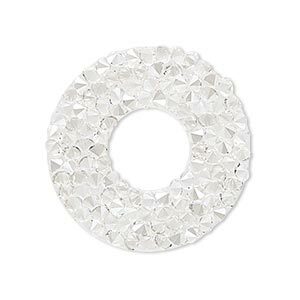 Swarovski® crystal rocks are made of chatons (3499) suspended in flexible hotfix adhesive film. Adheres to leather and most fabrics with a standard heat press or non-steam iron for quick and long-wearing embellishments. Can also be applied to wood, paper or metal. Do not apply heat surface directly onto crystals without using a hotfix transfer sheet or pressing cloth--test first before applying. If crystal surface is uneven, apply heat from the back. When heat application is not an option, adhesive such as Araldite® standard 2-part epoxy can be applied. Use as is to adhere to suitable size setting or mounting. Because crystal rocks are pre-cut by Swarovski® crystals using a special method, additional cutting into shapes is not recommended. 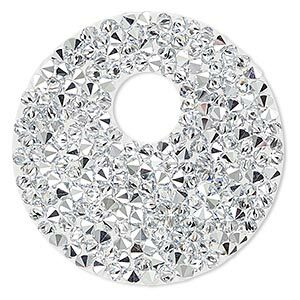 Iron-on transfer, Swarovski® hotfix crystal rocks, crystal AB, 30mm open round (72032). Sold individually. 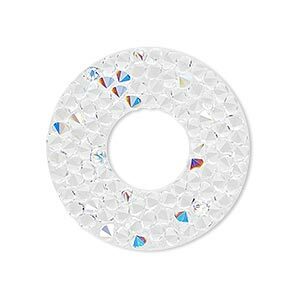 Iron-on transfer, Swarovski® hotfix crystal rocks, crystal CAL, 40mm round go-go (72020). Sold individually. 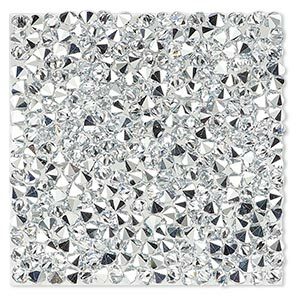 Iron-on transfer, Swarovski® hotfix crystal rocks, crystal CAL, 40x40mm square (72003). Sold individually. 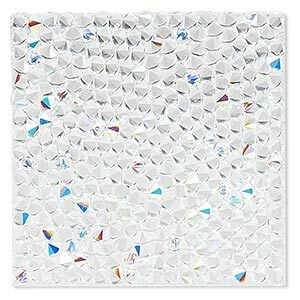 Iron-on transfer, Swarovski® hotfix crystal rocks, crystal AB, 40x40mm square (72003). Sold individually. 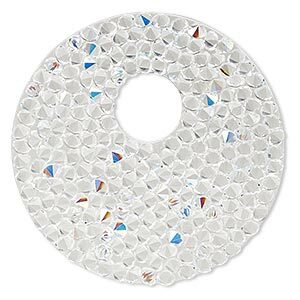 Iron-on transfer, Swarovski® hotfix crystal rocks, crystal AB, 40mm round go-go (72020). Sold individually. 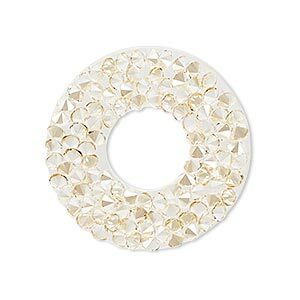 Iron-on transfer, Swarovski® hotfix crystal rocks, crystal metallic light gold, 30mm open round (72032). Sold individually. Iron-on transfer, Swarovski® hotfix crystal rocks, crystal golden shadow, 30mm open round (72032). Sold individually. 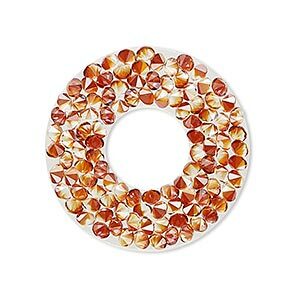 Iron-on transfer, Swarovski® hotfix crystal rocks, crystal red magma, 30mm open round (72032). Sold individually. 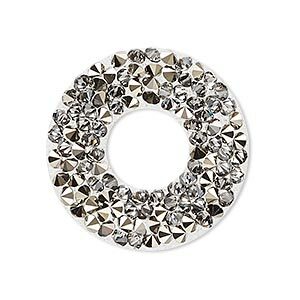 Iron-on transfer, Swarovski® hotfix crystal rocks, crystal silver shade, 30mm open round (72032). Sold individually. 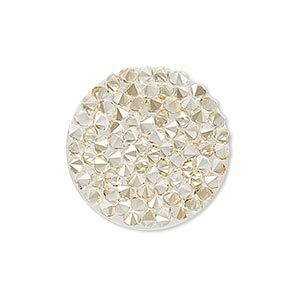 Iron-on transfer, Swarovski® hotfix crystal rocks, crystal golden shadow, 24mm round (72013). Sold individually.